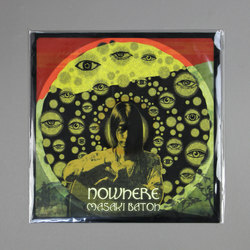 Masaki Batoh - Nowhere. Vinyl LP, CD. Bleep. Mere seconds into the self-titled opening track of Japanese veteran singer/guitarist Masaki Batoh’s Nowhere, he takes an unexpected left turn. Just as a delicately plucked acoustic guitar makes itself at home, a buoyant, rubbery rhythm brightens the corners into wondrous, psychedelic light. Emblematic of Nowhere as a whole, Masaki Batoh follows his intuition just as he’s been doing since the 1980s, as a founding member of legendary rock acts Ghost and The Silence.